Rider meets an old friend with a mysterious secret in this eighth Rider Woofson adventure. 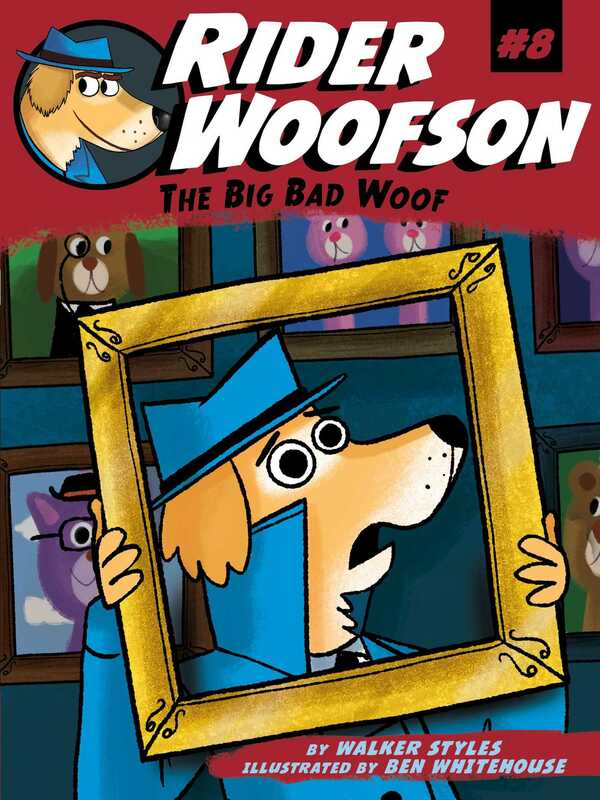 There’s a new criminal in Pawston stealing priceless works of art and leaving behind a calling card that reads: The Big Bad Woof Strikes Again! Can the PI Pack catch this red-hooded thief before he steals the world famous Bona Lisa painting? Or is Rider too busy spending time with his old friend Vicky Crown to stop and solve the mystery? With easy-to-read language and illustrations on almost every page, the Rider Woofson chapter books are perfect for emerging readers. Walker Styles grew up reading kids’ books, so it makes sense that he’s writing them now. And when he isn’t writing books, he’s out solving mysteries around the city of Manhattan, where he lives. Just the other day, he lost the book he was reading. Following all the clues, Walker deduced the couch ate it! (Well, the book was under the couch cushions. Still, mystery solved!). Ben Whitehouse is an illustrator based in Birmingham, UK. He has previously worked in the animation industry as a character designer, animator, and stop motion puppet maker before finding his feet within the world of illustration. You can visit him at StopMotionBen.com.